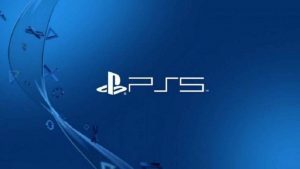 Ace Combat 7 has finally been given permission for takeoff, and fans of the series are overjoyed but many think that the standard DualShock 4 isn’t the best way to enjoy flying the unfriendly skies. 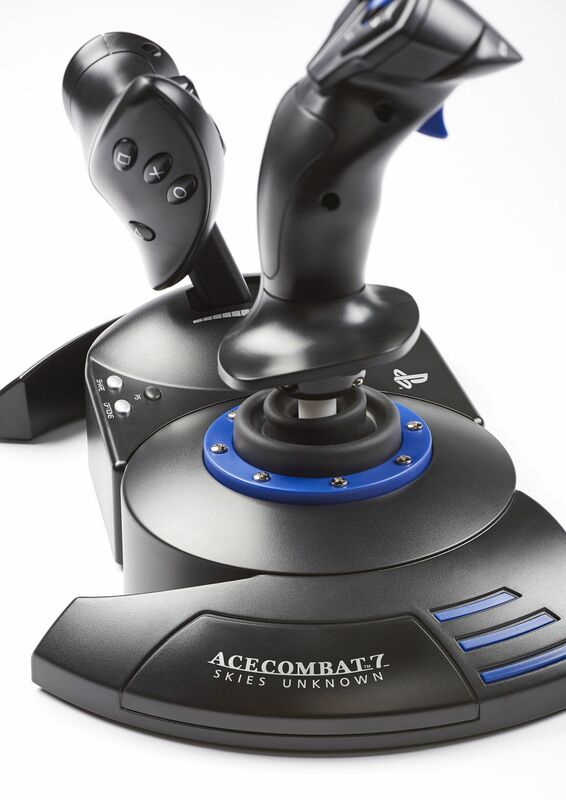 Thrustmaster has you covered however, releasing the T.Flight Hotas 4 Ace Combat 7: Skies Unknown Edition, a proper flight stick solution for serious pilots so they can shoot down bogies in style. I’ve been playing Ace Combat 7: Skies Unknown for the better part of a week now, and most of that time has been using the T.Flight Hotas 4. Right up front I want to warn you that afterwards I tried to go back to playing with a regular controller, and I simply couldn’t. The T.Flight Hotas 4 adds so much to the experience that I wouldn’t consider playing it any other way. Keep this in mind if you test it ahead of time, because you’d better be ready to buy. 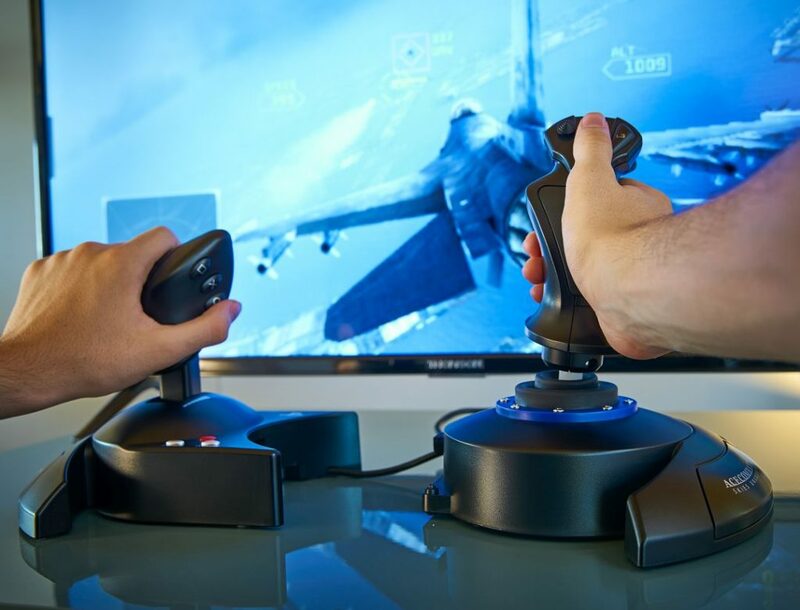 Hotas (Hands On Throttle and Stick) describes the control method where buttons are placed on the throttle and stick, allowing primary functions to be used without having to take your hands off the controls. 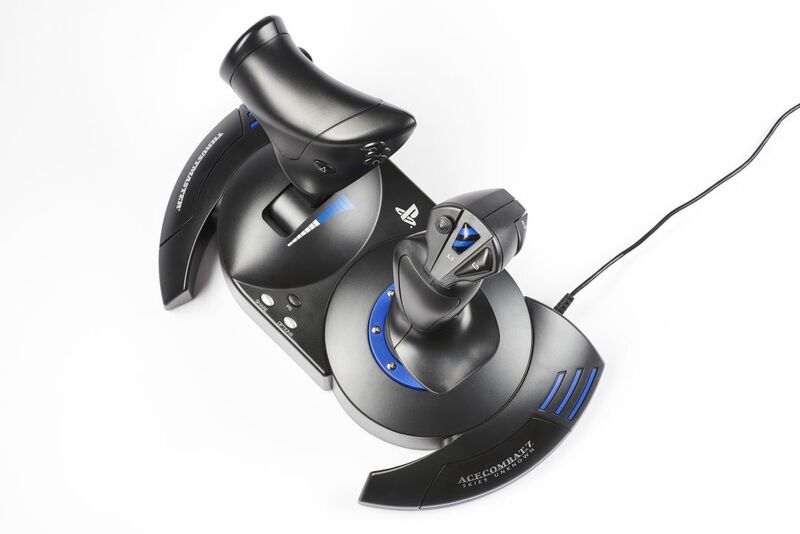 The T.Flight Hotas 4’s throttle and stick configuration manages this with aplomb, bringing fine control to the PlayStation 4 in a way that controller users simply cannot match. 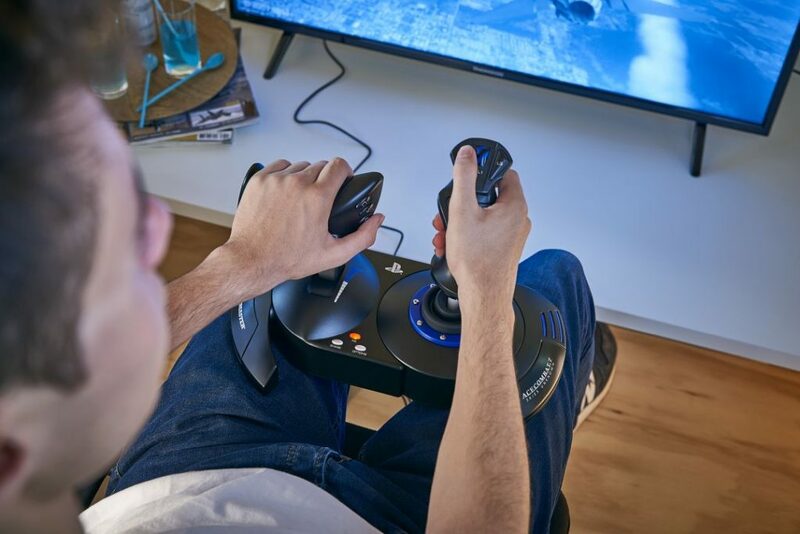 The T.Flight Hotas 4 is a comfortable stick to use. The throttle handle is contoured to your hand, and feels comfortable resting on it. Within easy reach of your left thumb are four buttons corresponding to the face buttons on the controller, arranged in a recognizable pattern that eliminates the need to look to see which you are pressing. The action on the buttons are firm and depress with a distinct click when you depress and release, so you won’t accidentally hit one just resting your hands on the controls. On the rear of the throttle, the fingers of your left hand come to rest comfortably on a v-shaped rudder that provides analog control of your yaw in the game. The rudder has enough resistance to allow precision flight without becoming difficult or fatiguing to depress with your pinky and middle fingers. This leaves your index finger free to press one of two large buttons next to the rudder control, the upper one being large enough to depress comfortably by pressing in with the back of your second knuckle without taking your finger off of (or accidentally depressing) the lower button where the tip of your finger rests. The throttle mechanism is smooth and has a noticeable center position to indicate your default cruising speed. However unlike a controller, the T.Flight Hotas 4 gives you precision control over your speed, which is a critical edge in a dogfight. No more maintaining a steady pressure on the L2 or R2 buttons to keep in formation. With direct analog control over your speed, just set the throttle and forget it. Being able to discretely control your relative speed to your targets makes it significantly easier to stay in the slot and keep the enemy in your sights. Also in missions that require you to fly low and slow, you can maintain a consistent speed without putting yourself in danger of stalling or pasting yourself against a canyon wall. No more uncomfortable “controller claw” for this flyboy. On the base of the throttle are the traditional Share / Options / PS Button triumvirate, the only concession in an otherwise full Hotas scheme. Since Ace Combat 7 is such a beautiful game, I found myself fumbling for the Share buttons a few times looking for it but I eventually got used to its position. Stylish, comfortable and affordable. That’s a winning combination. The joystick itself is again comfortably contoured to your hand, putting two buttons and a directional hat under your thumb, and a trigger and weapons select button under your index finger. All buttons are again firm and their action feels good when depressed. The R3 button is up and out of the way of the trigger preventing you from hitting it by accident, and yet it is molded nicely to the contour of the stick to be unobtrusive yet easy to depress when you want to. 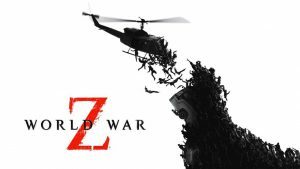 The arrangement is intuitive and becomes second nature quite quickly while playing. If it is more to your preference, instead of using the rudder rocker on the back of the throttle, you can also twist the joystick about ten degrees in either direction to control yaw. I preferred to use the rudder on the throttle rather than try to manage a third axis on the joystick in the middle of a hairy dogfight but the option is there if you find it easier. The throttle and stick come as two bases with a two foot cord between them, so that you may position the controls where they are most comfortable for you. Personally, I found that the design of the bases were not always sufficient for keeping them grounded in the middle of battle. This was more an issue with the joystick than the throttle, particularly when in high intensity combat and pulling to the left on the joystick where the base isn’t as wide. At worst this is less of an issue and more of an irritant, causing the base to sometimes lift off whatever surface you have it on and thump down again as you move in the opposite direction. Very stable when connected. If you’re playing on the couch, might want to also bring a cutting board or other surface for your lap. Luckily, the throttle and stick can be connected together for additional stability, locking firmly together with a provided alan key that clicks into a recessed slot in the base for handy storage. Once I did this, I no longer hand any issues at all with stability and thoroughly enjoyed my time with the stick. The Thrustmaster T.Flight Hotas 4 Ace Combat 7: Skies Unknown Edition is a fine piece of equipment and a great way to show your love for an amazing series. I’ve had several Thrustmaster flight sticks over the years, and the T.Flight Hotas 4 is the most comfortable that I’ve ever used. Despite some minor stability issues due to the unusual footprint of the joystick base when disconnected from the throttle, I strongly recommend the T.Flight Hotas 4 for the comfort, layout and very reasonable price point. Branded with the Ace Combat 7 logo, it is a must have for fans of the series and flight sim enthusiasts. I wouldn’t leave Osea without it. 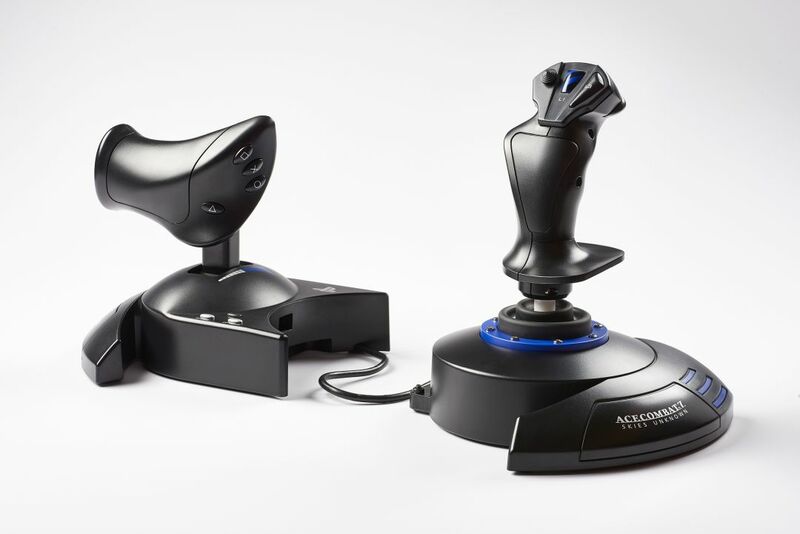 After using the Thrustmaster T.Flight 4 Ace Combat 7: Skies Unknown Edition, I simply could not go back to using a regular controller for flight games. The T.Flight Hotas 4 adds so much to the experience that I wouldn't consider playing them any other way. It is contoured nicely to the hands for comfort during white knuckled combat, feels solid and responsive, and yet is still very reasonably priced. There is simply no better value flight stick for the PlayStation 4 than the T.Flight Hotas 4, and a must have for flight-sim enthusiasts.